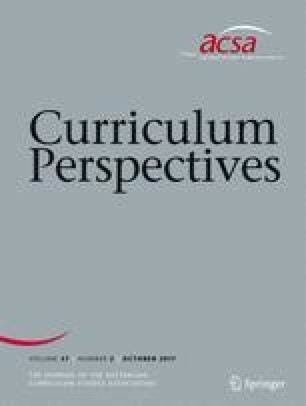 This paper considers the relationship between curriculum and culture from the perspectives of Catholic teaching, scholarship and teachers in Catholic schools. A total of 2287(33.5%) teachers in Queensland Catholic schools responded to a specially designed survey, and follow-up interviews were conducted with a stratified sample of 20 volunteer teachers. Over half the survey respondents rated the planned integration of a Catholic perspective across the whole curriculum as important or very important, and a similar proportion reported that they integrated a Catholic perspective in their classroom practice. The most positive responses came from teachers who valued faith-based aspects of Catholic schools most highly. Teacher interviewees, however, depended mainly on spontaneous “teachable moments” and personal “witness” to express the faith-based identity of their schools. The current findings suggest that experienced senior teachers with strong commitment to faith-based identity are more committed than their peers to the integration of a Catholic perspective across the curriculum. The changing religious and educational environments present serious challenges to any such undertaking. The integration of Catholic social teaching (CST) across the curriculum provides a viable and relevant approach to expressing the identity of Catholic schools. CST is counter-cultural in nature, and it behoves teachers as critical pedagogues to address controversial social issues in an educationally appropriate manner. A correction to this article is available online at https://doi.org/10.1007/s41297-018-0060-z.